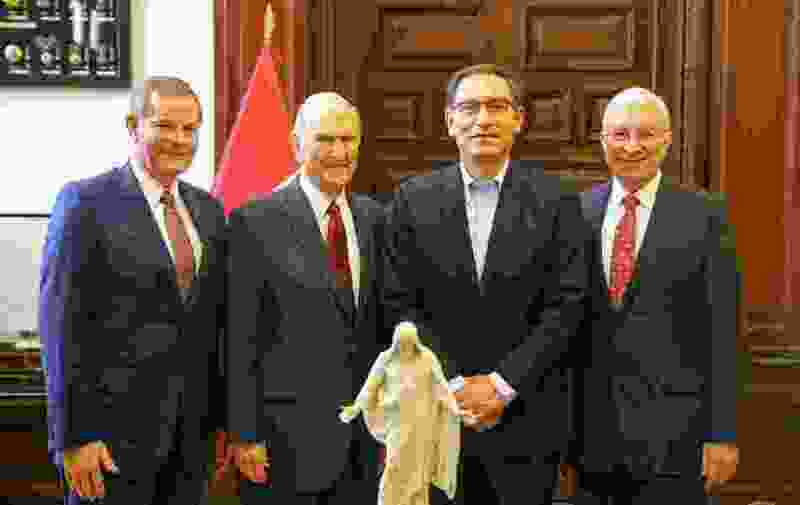 (Courtesy photo | The Church of Jesus Christ of Latter-day Saints) Apostle Gary E. Stevenson, left to right, and President Russell M. Nelson pose with Peru’s president, Martin Vizcarra, and general authority Seventy Enrique R. Falabella after the church leaders gave him a statue of the Christus. 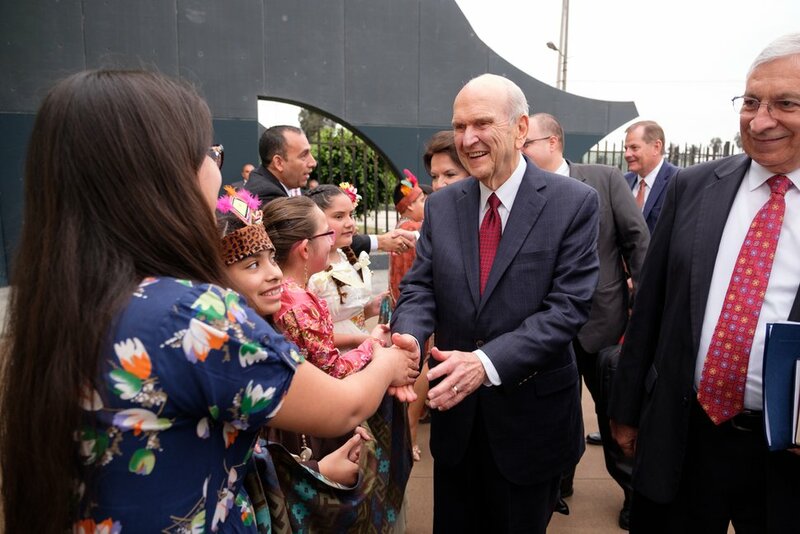 Three days into his South American tour and Russell M. Nelson, president of The Church of Jesus Christ of Latter-day Saints, already has met with thousands of members and one very important nonmember: Peru’s reformist president, Martín Vizcarra. The visiting Latter-day Saint delegation detailed for their host the Utah-based faith’s humanitarian efforts in his country with an emphasis on youngsters. 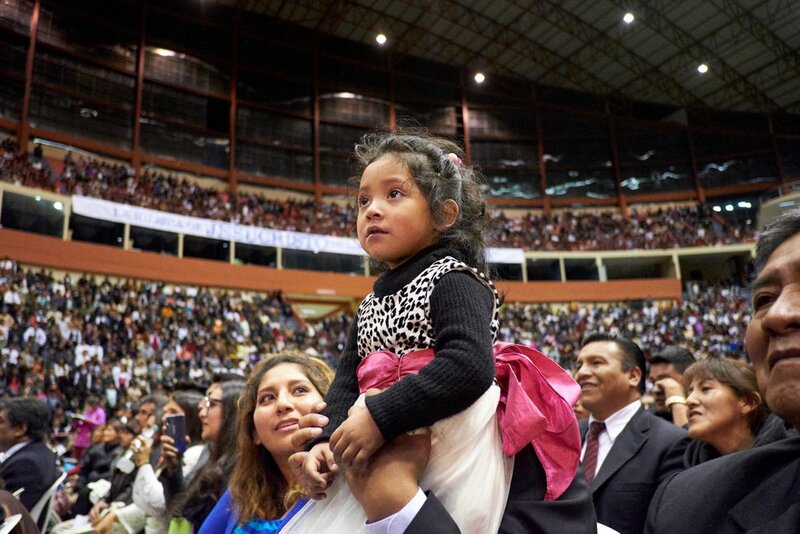 “The president … is aware … that we are trying to reach the poor people in Peru, helping them with the things they need," Enrique R. Falabella, a general authority Seventy and a member of the church’s South America Northwest Area Presidency, said in the release. Nelson and his wife, Wendy, along with apostle Gary E. Stevenson and his wife, Lesa, also met Saturday afternoon with Latter-day Saint missionaries and held an evening devotional in Lima for Peruvian members. On Sunday, the church leaders huddled with members in El Alto, Bolivia. "You parents and teachers have a great responsibility to teach these children,” Nelson said, according to a news release. “Teach them what it really means to be a child of God. They're made in his image." The 94-year-old leader, who took the church’s helm in January, was scheduled for more meetings Monday, this time in Paraguay, before heading on to Uruguay and Chile, where the new Concepción temple will be dedicated and the last stop on his nine-day, five-nation South American journey. Earlier in the year, Nelson undertook a global tour that took him to eight cities and several continents in 11 days. Since taking the church’s reins, he also has traveled to Canada (twice) along with Puerto Rico and the Dominican Republic.